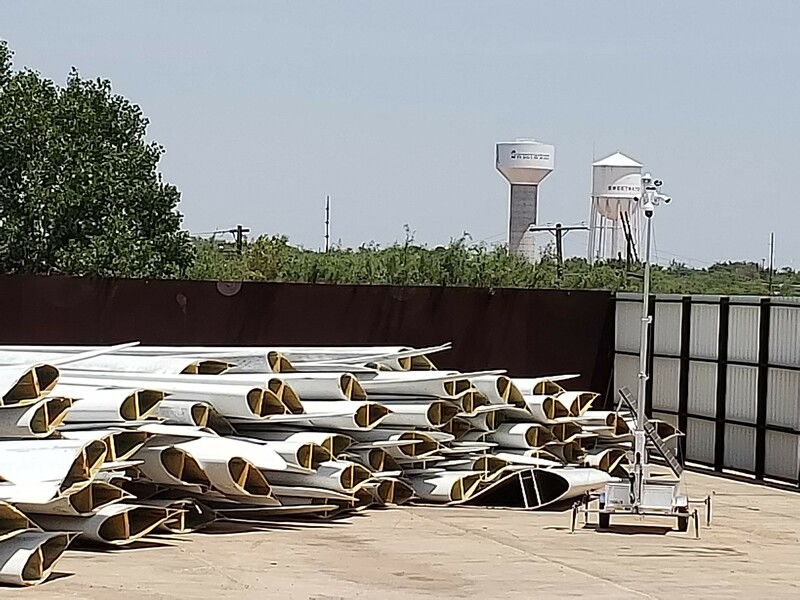 Global Fiberglass Solutions has begun manufacturing its flagship product offering -- a fiberglass manufacturing pellet made from recycled wind turbine blades. For manufacturers looking for ways to be sustainable and go landfill-free, Global Fiberglass Solutions is their answer. On January 8, 2019, the Global Fiberglass Solutions recycling and green manufacturing plant in Sweetwater, Texas began commercial production of its flagship product offering, a manufacturing-grade pellet. From the look of the thousands of tiny pellets streaming from manufacturing machinery at a scale fit for Texas’ Big Country, one wouldn’t initially guess they once made up a massive wind turbine blade. This is how Global Fiberglass Solutions is advancing recycling science – again. The pellets for sale--under the brand name EcoPoly Pellets—are a thermoplastic fiberglass pellet usable in injection mold and extrusion manufacturing processes. Made from a customized blend of wind turbine blade material, EcoPoly Pellets are made to order for customers based on the requirements of the customer’s own manufacturing process. GFS has initiated distribution options for pellet purchasing and the company is eager to speak with procurement and technical professionals from manufacturing companies interested in a truly sustainable recycled material. This innovation is a major advance in composite materials science to benefit commercial enterprise. Global Fiberglass Solutions’ recycled manufacturing pellet represents the company’s innovation in repurposing waste material (decommissioned wind turbine blades) into green manufactured products that are commercially viable. Business and consumer interest in this type of material and product is at an all-time high and will continue to grow as the global economy continues to face modern environmental challenges. Deferring waste from landfill and then using it for new, environmentally sustainable products represents a huge win-win for businesses enacting sustainable measures worldwide. What can be manufactured with EcoPoly Pellets? If the composite item can be made with pellets, GFS can customize EcoPoly Pellets to make it as well. Options previously tested by GFS include decking boards, warehouse pallets, parking bollards and much more. The further upside of EcoPoly Pellets is that they are also certified to be recycled from wind turbine blades through GFS’ BladeTracker material tracking software. In addition, GFS can recycle products manufactured with its material after it has reached its end use. For manufacturers looking for ways to be sustainable and go landfill-free, Global Fiberglass Solutions is their answer. Catering to many different industries, GFS is engaged in distribution and subcontracting agreements as the pellet production is under way. In particular, the construction and automotive industries have been major players in product interest and agreements with GFS. With many large, multinational companies seeking out eco-friendly options for their operations, Global Fiberglass Solutions is ready to answer that call. What is next for GFS? 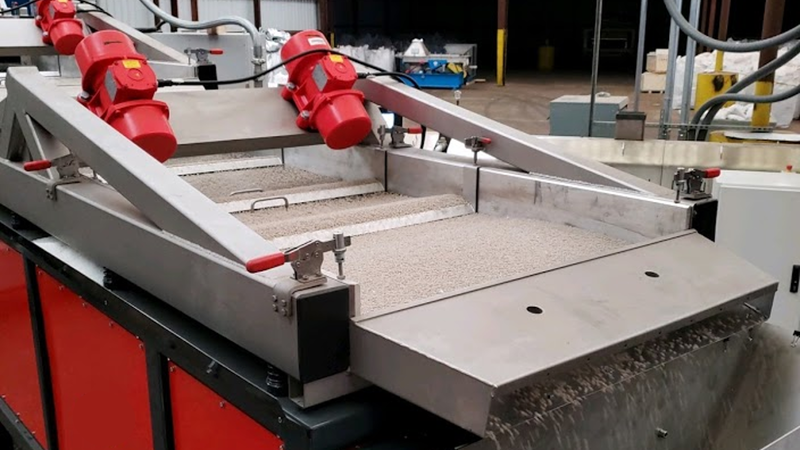 Pellets are only the beginning – the plant in Texas will be adding a high-volume panel press this year to begin producing recycled fiberglass construction panels – EcoPoly Panels. GFS executives have verified that the panel demand is even greater than the demand for pellets. The application possibilities, indicated by demand, include walkways for wind energy installations, walls and substrate flooring in construction, and floor panels for trailers in the automotive sector. In 2019, Global Fiberglass Solutions is bringing these and other cradle-to-cradle solutions to the material science of recycling, making extraordinary changes for the better.